The Jayanti of Bhagavan Sri Krishna, also known as Sri Krishna Janmashtami, falls on the eighth day in the dark fortnight of the month of Bhadrapada (Aug-Sep). The observance of this holy day and the performance of this sacred worship to the great Incarnation is a symbol of an intensification of our soul's yearning to come nearer to God as much as possible. Bhagavan Sri Krishna is regarded as Purna-Avatara, which means the full incarnation, Avatara is 'Incarnation,' and Purna is 'the full'. He is considered to be a complete manifestation of God, not a partial expression of the power and the glory of God. The power of God is never fully manifest anywhere in the world. It is always manifest or expressed in some percentage as the occasion demands, even as we ourselves, in our own individual capacities, for instance, do not put forth our total energy any time of the day. Though we work hard from morning to evening, the entire energy of our body, mind and soul does not get revealed on any occasion. Perhaps, months may pass without an occasion for the whole energy of our system to manifest even once, because the circumstance does not demand it. We only express a little of our thought, a little fraction of our understanding and a partial form of our energy as would be necessitated by the nature of the particular context. Likewise, God never manifests Himself wholly unless the occasion is of such an intensified character as to call for such a manifestation. Historically speaking, the circumstances at the time of the advent of Bhagavan Sri Krishna were such that a complete manifestation of the Divine Energy was called for. We have an idea of what God is and what His total energy would be like, from the point of view of our own humble imaginations, which is, of course, comparable to the idea that a frog in the well may be entertaining in its mind in regard to the Pacific Ocean. That may be the idea we may have in our minds of the total energy of God. Nobody can say what it is. Anyhow, we can understand what 'totality' means, at least in a grammatical sense or linguistic significance. Bhagavan Sri Krishna, the full Avatara, the complete manifestation of God, is the object of our worship, prayer and meditation on this day. This has a very special relevance to our own personal lives and its meaning for us is naturally the meaning that is implied in our relationship with God. We have heard from narrations recorded in the scriptures like the Srimad Bhagavata, that Bhagavan Sri Krishna was born at midnight, as it is also the case with the birth of Jesus the Christ. There are many similarities between the births of Krishna and Christ as far as the associations of the phenomena with the occasion are concerned. The darkest part of the night is midnight and that was the hour of the birth of the Lord. This divine advent took place not at the commencement or at the fag end of the night, but in the thick of the night, midnight, which from the point of view of our own personal Sadhana-life, is reminiscent of the conditions under which God would reveal in our own lives. God did not reveal Himself in daylight, but in the dead of night. The spiritual connotation of this, from the point of view of the relationship of the soul to God, is that the daylight or activity of the senses is the midnight or slumber of the Atman, and the daylight or birth of the Atman is the midnight or slumber of the senses. When the senses cease from their activity, conditions become favourable for the manifestation of God. The Atman does not manifest Itself when the senses are rejoicing in the daylight of their contact with objects. On the other hand, the birth of the Atman is a death-blow to the senses and the slumbering of the prison-guards at the time of the advent of the Lord may be in a way compared to the death of the senses at the time of the birth of Divinity. Kamsa represents the ego and all his menials the senses. All these were put to rest at the time of birth of Lord Krishna. Hence, the Bhagavad Gita says: "Ya nisa sarvabhutanam tasyam jagarti samyami, yasyam jagrati bhutani sa nisa pasyato muneh"--The night of the ignorant is day for the sage, and vice versa the night of the sage is day for the ignorant. The Atman is something quite different from what we regard as very dear to us, notwithstanding the fact that we have been told again and again that It is the deepest Reality in our personality. All this teaching has remained only a theory for us. We have always been pampering the senses and fondling the ego, in spite of the fact that we know that we are not the ego and the senses, but the Atman. All this teaching is like pouring water on a rock. It has made no impression upon us. The infinite is the Fullness, the Purna; and the finite is the Apurna. We individuals, the Jivatmans and everything in this world are Apurna, finites, but we enshrine the Infinite in our bosom. And the manifestation of the Infinite in the finite, the birth of God in man is possible, practicable and inevitable when the obstructions to Its manifestation are obviated totally. To speak from the point of view of the historical life which Bhagavan Sri Krishna is said to have lived thousands of years ago, let alone the spiritual or the mystical, we see a wholeness manifest in Him. His life was a fullness right from childhood upto the maturity of life. He was a completeness in every respect even in his babyhood or childhood, a completeness in his adolescence, a completeness in his youth and maturity; He was a fullness of bodily perfection, a fullness of understanding, a fullness of social relationship and political statesmanship and a fullness in His own Being. This has been revealed even in His outward physical personality,--a beauty and a charm that mankind has never seen. Our meditations and our worships are really silent invocations of the characteristics of the Object of our worship and meditation. Every worship is an invocation, and every form of meditation is an invocation; and invocation means the calling of the force into our own being and the planting of the power of the Divine in our own personality. We have in ritualistic or Tantric parlance what is known as Nyasa performed during the time of worship. The Pundits and Archakas who perform worship in temples know what Nyasa means. Nyasa is a Sanskrit word which means 'placing', 'stabilising', 'fixing', 'invoking', 'stamping'. All these meanings are conveyed by the word 'Nyasa'. At the commencement of the worship, whether it is done in one's own private sanctum sanctorum in the house or in a public temple, Nyasa is performed by every worshipper. In this process of Nyasa, what is done is that every part, every aspect, every conceivable characteristic of the Divine Being is located, in an intensity of feeling and invocation, in the corresponding parts and aspects of one's own personality, so that during the time of the worship and meditation, you are in communion with the Divine Being. You are as though possessed by God at that time. You yourself become a sort of Avatara, to put it in a meagre sense, at the time of true worship. The invocation is made in such a complete form, and with such method and system of rituals, that you assume in your body, mind and soul, in your total personality, the various aspects and manifestations of the personality of the Divinity, God. So, on this day we have such an occasion of worship of Bhagavan Sri Krishna which means to say that we have to put on in our inward character and meditation, a deep sense of our unity with the various aspects of His personality which are co-extensive with all that is external to Him and all that is transcendent as well as immanent. This is to give you an idea of 'Purnata', what Purna-Avatara would mean and what it also means to worship and meditate and adore such a Purna-Avatara. If meditation is difficult, worship is also difficult. Any kind of inward communion is a difficult task for the mind, because of its out-going tendency. The mind never comes in communion with anything in this world at any time. It always longs for contact rather than communion. The senses and the mind are habituated to contact with their objects. The religious invocation of worship and meditation is not an attempt at coming in contact even with a Divinity or a Godhead, but an endeavour to commune oneself with the Supreme Being, which is the purpose of Nyasa. There is a difference between contact and communion. You can never commune yourself with any object in this world, but you can only come in contact with it. What is the difference between contact and communion? In contact you really do not imbibe the characteristics of the object, and you are not really in possession of the object. In contact, again, you do not receive into yourself the power of the object, and, therefore, you cannot also enjoy that object or have control over it. This would also give an idea of the generally unknown fact that our daily efforts at coming in contact with things, including persons, with a desire to possess and enjoy them, is a futile effort. It will not bring any fruit at all, except pain. Ye hi samsparsaja bhogah duhkhayonaya eva te--"The pleasures born of sense-contact are wombs of pain," says the Gita. Every contact brings pain and suffering and ultimate ruin of oneself. But the religious aspiration of the soul does not long for contact with God, but a communion with Him. In that communion that you try to establish in your spiritual moments of worship and meditation, you simultaneously commune yourself with the whole of creation, because creation is the cosmic body of God. Thus to worship God is to worship the whole world and to serve God is to serve humanity, and vice versa. That is why we are sometimes told, "Janata Janardanah; Manava seva Madhava seva," etc. These sayings have a great significance and a meaning behind them. Janata and Janardana, Manava and Madhava cannot be identical except in terms of the perfection or Purnata of God. Thus our communion with God is simultaneously a communion with everything in the world. Thus, this is an occasion for us to strengthen ourselves spiritually. Spiritual strength, of course, is the real strength and real power that we are seeking. And in this particularly specialised form of worship and communion with the ideal of Bhagavan Sri Krishna on this holy day, we have, no doubt, a very vast and comprehensive achievement made which will ensure prosperity in every walk of life. The peculiarity and the speciality of the life of Bhagavan Sri Krishna was, as I have already hinted, that He was an all-comprehensive personality. He was a householder and not a Sannyasin. He had wife and children. He was a politician and a statesman. He was a soldier and also a servant when the time demanded that kind of attitude from Him. And at the same time, He was a person with a comprehensive understanding of the various shades of the difference which relationships put on among things. Therefore, it is difficult to understand, ordinarily, the significance behind many of the things that He did and many of the things He said also, especially in the Bhagavad Gita. The Mahabharata and the Srimad Bhagavata are the monumental records of His life, His activities and His achievements. The Bhagavad Gita may be regarded as the great gospel that He gave to mankind. It is as difficult to understand His teaching as it is to understand His own life, because He did not think as we are thinking. His thinking does not comply with the sentimental demands of our human feelings, ethical sense, the usual social morality, and so on and so forth, which we will be entertaining in our own hearts. A total transformation, a transfiguration of all values is brought about in His activity and life, and also in His teachings, so that His life and teachings are a sort of a superhuman presentation before us. And you know how difficult it is for a human being to confront a superhuman presentation of any kind. But, this is the ideal before us and this is our goal. Whether or not we are able to understand it, this is what the life of Sri Krishna tells us. The Bhagavad Gita, the cream of His teaching, also conveys to us that things are not what they seem to our senses. This is what we learn from His life also. There is something quite different from what we sense, feel, think and understand as valuable. 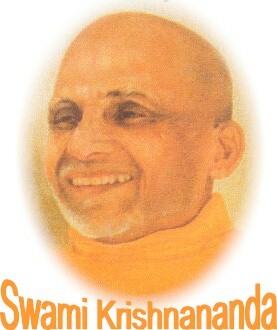 This is the Truth behind things, for which His life and teachings stood and which He Himself embodied in His own life. This is the message for us today, which we should try to imbibe into our lives by invoking His grace and putting forth honest efforts. As the Gita concludes, where Krishna and Arjuna are together, i.e., where Divine Grace and human effort go together, there is prosperity, victory, happiness and firm polity.